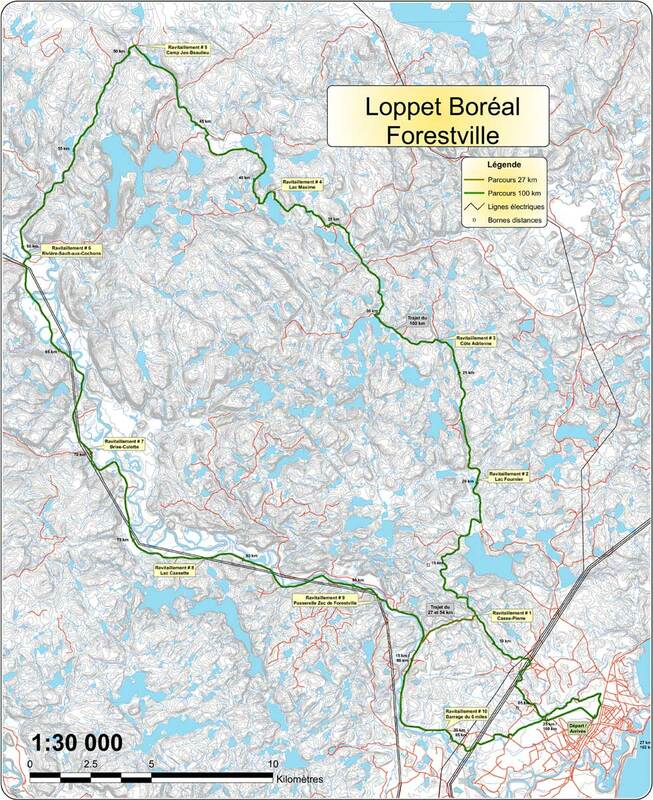 The Boreal Loppet was, from 2004 to 2011, the longest cross-country skiing competition in the world; 103 km. Many skiers answered the call to skiiers for this extreme endurance challenge throughout during this peroid. Special mention to Paul Junique, from Montreal, and Pierre Éthier, from Quebec city; they are the only ones that participated in this race every year since the beginning. Also, all the winners over these years: Steeve Cyr (2 titles), from Shannon, Pierre Lavoie, from La Baie, and Michel Labrie, from Montreal. The 2007 and 2010 editions were cancelled due to conditions.